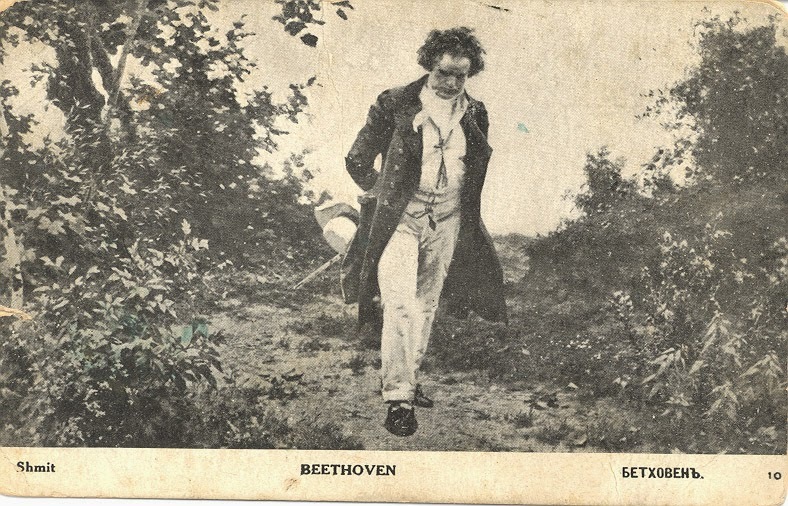 When first performed in Vienna, Beethoven, then almost totally deaf, had been beating out measures with his back turned to the audience. Unable to contain itself, the audience exploded prematurely in applause before the piece had ended. His contralto, Caroline Unger, personally recruited by Beethoven, then walked over and turned Beethoven around to face the audience’s cheers. One witness wrote, “the public received the musical hero with the utmost respect and sympathy, listened to his wonderful, gigantic creations with the most absorbed attention and broke out in jubilant applause, often during sections, and repeatedly at the end of them." There were five standing ovations, all unheard. The audience knew this. So at the end, they raised their hands and threw handkerchiefs and hats in the air -- so that Beethoven could see the ovations.